The Montreal Canadiens acquired veteran forward Nate Thompson ahead of the NHL Trade Deadline this season to add bottom-six depth for a playoff run that never materialized. They gave up little to acquire him, swapping a fourth-round pick in this year’s draft for Thompson and a fifth-rounder from the Los Angeles Kings. Yet, the Habs have decided to make the most of that minor investment. The team has announced a one-year contract extension with Thompson. It is a one-way deal worth $1MM. The extension represents a small pay cut for Thompson, who had a $1.65MM AAV on his previous two-year deal, one that was originally signed with the Ottawa Senators but was served with three different teams. Yet, it is a fair downgrade for the 34-year-old forward. While still a dependable two-way player and an asset at the face-off dot, Thompson point totals fell last year and he hasn’t cracked 20 points since 2010-11. Yet, in just 25 games with Montreal, Thompson scored more points than he accumulated with the Kings in more than twice the games earlier in the season. If that level of production continues – a 23-point pace – this deal will be a great bargain for the Canadiens. With Thompson signed and the Habs already confirming that backup goaltender Antti Niemi won’t be returning, the team has very few unrestricted free agents to worry about. Only forward Jordan Weal, a fellow deadline addition, and defenseman Jordie Benn are set to hit the open market. Like Thompson, Weal played far better in Montreal than in his previous locales during the season, while Benn had a career year in 2018-19. Both are strong candidates to return to the team. The Los Angeles Kings have signed Mikey Anderson to a three-year, entry-level contract, ending his college career. Anderson recently won the NCAA Championship with the University of Minnesota-Duluth, but will start his professional career in 2019-20. Anderson, 19, knows winning and little else at the collegiate level after taking home the title two years in a row. Originally selected in the fourth round of the 2017 draft, he has quickly become a top prospect in the Kings system and one of the most effective defensemen in the country at his level. Not only did he put up 27 points in 40 games for the Bulldogs, but Anderson also captained Team USA at the most recent World Juniors where he recorded five points in seven games en route to a silver medal. There’s still plenty for the 6’0″ 196-lbs defenseman to work on before suiting up in the NHL, but the fact that both sides think he’s ready for professional hockey is a testament to how hard he has worked to develop over the last two seasons. The Kings are beginning a rebuild that may take a while, but Anderson should feature prominently in it over the next few years. 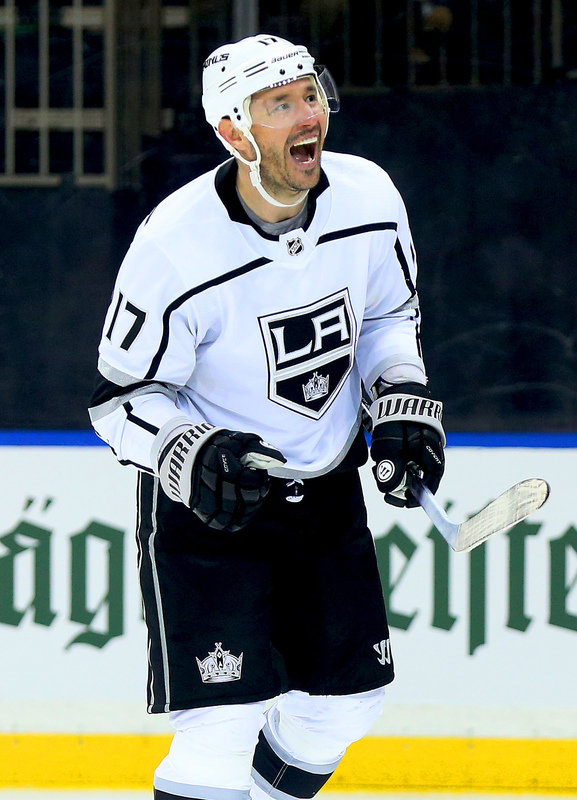 In 2017-18, the Los Angeles Kings finished with 98 points, were a playoff team and had both a Norris Trophy and Hart Trophy finalist (and Selke winner) on their roster. Dustin Brown had found his edge again and recorded a 60-point season, while Jonathan Quick took home the Jennings Trophy as the goaltender for the team with the lowest goals against average in the NHL. Then, it all came crashing down. The club finished 30th in the NHL in 2018-19, fired their coach and traded away several assets. Things looked grim. As Todd McLellan comes in to try and turn the team around, he spoke with Mark Spector of Sportsnet and was clear that it won’t be a quick process. The Kings aren’t expecting to be back competing for the Stanley Cup next season, and are just “at the beginning of the process.” The question now becomes what happens with the other veteran assets on Los Angeles, as names like Brown, Quick, Anze Kopitar, Drew Doughty and Jeff Carter aren’t getting any younger. If “it’s not going to be an overnight thing” as McLellan says, where does that leave the aging stars? The Charlotte Checkers will be without two key defenders for their next game, as both Trevor Carrick and Bobby Sanguinetti have been given suspensions. While Sanguinetti will serve just a single game for a check to the head, Carrick is out for three games after leaving the bench to join an on-ice altercation. The Checkers are tied 1-1 in their first-round series against the Providence Bruins, and will need to find a way to win without two of their veteran blue liners. Patric Hornqvist will suit up for Sweden at the upcoming IIHF World Championship, continuing his season after a disappointing exit with the Pittsburgh Penguins. Hornqvist joins a squad that needed some help up front, and could very well find himself skating beside rookie sensation Elias Pettersson. The 32-year old winger won a gold medal with Sweden last year, scoring two goals in five games. Jason Mackey of the Pittsburgh Post-Gazette reports that teammate Marcus Pettersson will be an alternate for the Swedish squad. Finland’s Liiga had their own version of the Tampa Bay Lightning this season, only one that has gotten the job done in the playoffs thus far. Karpat, the reigning Liiga champion, has been unstoppable all season long in pursuit of a title defense. Building off the success of their 2017-18 campaign, the team was the regular season champion by 29 points over the next-best competitor and finished with a +106 goal differential while just one other team in the league topped +27. Through the first two rounds of the postseason, Karpat has needed just ten games to dispatch their opponents, all while allowing just 13 goals against. The Liiga Final begins today, as Karpat takes on the No. 5-seeded HPK, a team that they are not expected to have much trouble with. Given their dominant regular season and early playoff success, it is hard to make a case that Karpat is not undoubtedly the Liiga’s best team this season, regardless of how the final turns out. As usual, the best players on the best team in a major European league are garnering a fair amount of attention. Finnish news source Ilta Sanomat reports that upwards of seven of Karpat’s veteran core players could leave the team for greener pastures. Of that group, the reporter indicates that leading scorer Ville Leskinen and top defensive pair Teemu Kivihalme and Jani Hakanpaa are almost certainly headed to the NHL. The terrific goalie tandem of Veini Vehvilainen and NHL veteran Jussi Rynnas could also be headed to North America. Not mentioned are top NHL prospects Aleksi Heponiemi and Rasmus Kupari, who are both considered likely to join their drafted clubs. Leskinen, 25, is the big name included on this list as a highly-sought after free agent scorer. An undrafted product who has played in the Karpat system for his entire life, Leskinen’s production has increased exponentially over each of the past few seasons. This year, he tied for the Liiga scoring title and was one of just three qualifying players to finish in the point-per-game range with 57 points in 58 games. He also finished second overall in the league with 29 goals and a +31 rating. He has since added a league-leading five goals in the playoffs to go along with six assists through just ten games. A right-shot winger with decent size and great hands, Leskinen has proven that he can be a star in the Liiga, but is out to show that he can also make an impact in the NHL. Expect many teams to be willing to give him that chance. At 25 years old, Leskinen is still within the laws of the entry-level system, meaning teams will have to find ways other than salary to convince the talented Finn to join them. Both Kivihalme and Hakanpaa are former NHL prospects who never signed with their teams, but are reportedly going to be in the league after all with deals “in the final stages”. Kivihalme, 23, was curious case due to his commitment to North American hockey. The puck-moving defender spent much of his childhood in Minnesota and even has American citizenship. After a strong high school career, Kivihalme was drafted by the Nashville Predators in 2013 and eventually went on to play for Colorado College. However, he did not complete his NCAA eligibility, opting instead to turn pro in Finland after three years. The Predators let his draft rights expire, so Kivihalme is now very much a free agent who should draw considerable interest as Karpat’s top defenseman. Hakanpaa has a very different game and very different story from his pair mate. The 6’5″, 207 lb. 27-year-old was a fourth-round pick of the St. Louis Blues out of the Finnish junior ranks all the way back in 2010. While he never earned a contract from the team, he appeared at several camps, played in the preseason, and spent parts of three seasons with their AHL affiliates. At the end of the day, the opportunity wasn’t there and Hakanpaa returned to Finland. The solid defensive blue liner has had an awakening offensively over the past two seasons and will be returning to North America as a far more well-rounded product. Of everyone listed in the report, it is fair to be skeptical of the thought of Rynnas returning to the NHL. Despite incredible numbers in the Liiga this season, they were second only to Vehvilainen, who got the bulk of the starts. It may be a hard sell for the 31-year-old, who has already spent four seasons in North America with the Toronto Maple Leafs’ and Dallas Stars’ organizations, to say that he is ready to try again after being a backup in Europe. Perhaps there is an opportunity – Rynnas did have some good AHL seasons – but more likely than not, he will wait to see what happens with Vehvilainen and may prefer to stay with Karpat as the replacement starter. As for their other top teammates, their immediate NHL futures are largely predetermined. As most know, Kupari and Heponiemi are recent high draft picks and considered top prospects by their organizations. Kupari was the first-round pick of the Los Angeles Kings last year and played on loan with Karpat this year after signing with L.A. The Kings could desperately use an injection of youthful talent, which gives Kupari strong odds of cracking the roster out of camp. Heponiemi was a second-round selection of the Florida Panthers in 2017 who returned to his native Finland this year after two strong seasons with the WHL’s Swift Current Broncos. One of the best players at the World Juniors this winter, Heponiemi is definitely ready for the NHL and the Panthers could use the affordable production as they project to be low on cap space after a busy summer. What some might not realize is that starting goalie Vehvilainen is also NHL property. Vehvilainen, 22, was drafted by the Columbus Blue Jackets just last year as an overage prospect. Yet, the sixth-rounder has already proven to have been a smart gamble by the team. Vehvilainen led the Liiga with a .933 save percentage and 1.58 GAA this year, his second straight season of finishing in the top three in both categories. He has also played better in the postseason both years, which is always a plus for a goaltender. The Ilta Sanomat report claims that Vehvilainen will join Columbus if he is at least guaranteed a top-three spot on the depth chart next season. With Sergei Bobrovsky likely to leave, Vehvilainen could join existing keepers Joonas Korpisalo and Elvis Merzlikins as an inexperienced, but high-upside unit next season. Karpat was an extremely talented team this season and last with several great core players. It will certainly be worth watching how those former teammates perform in the NHL in the future. While the playoffs are now underway, many teams have already started their offseason planning. What storylines lie ahead around the league in what is shaping up to be a likely busy NHL offseason? Next up in our Offseason Keys series is a look at the Los Angeles Kings. After making the playoffs last season and adding winger Ilya Kovalchuk in the offseason, expectations were high in Los Angeles. Instead of pushing for a Wild Card spot, the thought was that they’d be in the mix for a top-three spot in the Pacific Division. Instead, they floundered out of the gate and an early coaching change did nothing to turn around their fortunes. As a result, they find themselves squarely in a rebuild as they enter the offseason. They made one significant move already with the hiring of Todd McLellan but here’s what else to watch for in Los Angeles. Kovalchuk was supposed to give the Kings a boost offensively and move them up from a middle-of-the-pack team relative to the rest of the league. Early on in the season, he did exactly that, notching 14 points over his first 14 games. While he’s not the best of skaters, he was still finding a way to be productive. That all changed when Willie Desjardins took over behind the bench. Kovalchuk’s ice time quickly dwindled and so too did his production as he wound up with just 20 points over his final 50 contests. It got to the point where he became a healthy scratch and was even left home during a late-season road trip to work on skill development. Needless to say, the signing hasn’t worked out and with GM Rob Blake embracing at least some form of a rebuild, he’s not an ideal fit on their roster moving forward. However, with two years left on his deal at a $6.25MM cap hit, his trade market shouldn’t be particularly robust. As a result, even though moving him out would probably be the best from a potential player development perspective, there’s a case to be made to give Kovalchuk another chance under a new head coach. If he rebounds, his trade value should improve as well. That said, it’s safe to say that Kovalchuk and Blake didn’t expect they’d be in this situation less than a year after he signed. The Kings were right up against the Upper Limit for a big portion of the season (even spending time using LTIR) before they started to sell in the second half. While that alleviated some of their shorter-term concerns, a lack of cap space is going to continue to be an issue for this team moving forward, especially if they have plans to try to add a veteran or two along the way. As things stand, they have over $72MM committed for next season already, per CapFriendly. On top of Kovalchuk’s contract, they have some other pricey ones for underachievers on the books including center Jeff Carter ($5.27MM through 2021-22) and defenseman Dion Phaneuf ($5.25MM through 2020-21). Goalie Jonathan Quick ($5.8MM through 2022-23) has been involved in some trade speculation with the thought that a deal is more likely now than it was midseason. However, they may have to take a goaltender back in any move as a tandem of Jack Campbell and Cal Petersen likely isn’t a viable long-term tandem. For Los Angeles to have any sort of tangible cap flexibility over the next couple of years, at least one of those players will need to be moved out. Considering it’s likely that they’d have to retain in a trade or take contracts back to offset some of the salary, it’s possible that more than one will need to move. The market for those players is going to be limited so Blake is going to need to be creative to get some of those big tickets off the books. Back at the trade deadline, there was some speculation surrounding winger Tyler Toffoli. It was believed that he was available but since he had another year left on his deal, the asking price was quite high. Now, the 26-year-old is set to enter the final year of his contract and will be eligible for unrestricted free agency in the 2020 offseason. It’s time for the Kings to decide whether or not he’s part of their long-term future. What will complicate the decision for Blake is Toffoli’s year-to-year inconsistency. Four seasons ago, he looked like a long-term core piece after collecting 58 points. One year later, that total dropped to 34 in an injury-plagued season. He rebounded in 2017-18 but this past season, he dipped once again, going from 47 to 34; his 0.41 point per game average was the lowest of his career. Can they build around someone who has bounced from producing close to a front-line player to one putting up numbers comparable to a third liner? If the team wants to get an early extension done, it’s likely that Toffoli’s camp will be seeking an increase on his current $4.6MM AAV to entice him to avoid testing the open market. However, if it appears that a deal can’t be reached or if they decide that it’s time to move on, expect his name to come up in trade speculation closer to the draft in June. Wednesday: At a press conference to introduce McLellan as coach, the the team announced that assistant coach Dave Lowry will not be part of the staff in 2018-19. The Kings have also agreed to buy out the remainder of McLellan’s contract with Edmonton, which according to Curtis Zupke of the Los Angeles Times was worth $3MM. Bill Ranford and Marco Sturm are expected to stay on as part of the coaching staff. Tuesday: The Todd McLellan sweepstakes have finally come to an end, and the Los Angeles Kings will be his next employer after all. The team has announced a multi-year contract for the former Edmonton Oilers head coach. McLellan was rumored to be a candidate for the Buffalo Sabres coaching job until he was ruled out last week, and has been linked to the Kings for some time. The deal is expected to be five years in length and worth around $25MM (including bonuses) according to Pierre LeBrun of The Athletic. That makes McLellan one of the more expensive coaches in the league and rivals the deal that the Philadelphia Flyers recently gave to Alain Vigneault. The Kings fired John Stevens just 13 games into the 2018-19 season and replaced him with Willie Desjardins, but found no change in results. The team struggled right out of the gate and ended up finishing with the second worst record in the entire league. That failure had a lot to do with goal scoring, as the Kings were one of only two teams (with the Anaheim Ducks being the other) to record fewer than 200 goals on the season. McLellan will be asked to turn things around in a hurry, given their long expensive commitments to players Anze Kopitar, Drew Doughty and Jonathan Quick. McLellan does bring with him quite the resume of regular season success, despite things not ending well in Edmonton. Fired after 20 games this season, he had previously taken the Oilers and San Jose Sharks to the playoffs in seven of his ten years as an NHL head coach. In fact, his .637 winning percentage in San Jose put him among the best to have ever stood behind an NHL bench and had many expecting great things. Unfortunately, the Sharks were never able to get very deep in the playoffs with McLellan running things and he was let go after the 2014-15 season. The team would reach the Stanley Cup Final the following year. In Edmonton there was always immense pressure, as McLellan inherited a team that was led by Connor McDavid and was expected to compete for the Stanley Cup. After an injury took McDavid off the ice for much of McLellan’s first season, he failed to make the playoffs and watched as Taylor Hall was jettisoned that summer. Despite losing his top scorer from 2015-16—who would go on to win a Hart Trophy in his second season in New Jersey—McLellan coached a healthy McDavid-led squad to the playoffs in 2017, finishing with 103 points, the club’s best total since 1987. That success, however, was short-lived. Another playoff miss last season and a tough start to this year caused the Oilers to move on and bring in Ken Hitchcock to try and fix things, while McLellan watched from the sideline still under contract with the team. He’ll now get a brand new challenge in Los Angeles that will be difficult to master. The team’s core that brought them such success in the past has aged and cannot be relied upon to get them back to the playoffs by themselves, meaning other changes will need to occur. The team already started that process when they moved Jake Muzzin and Tanner Pearson, but could very well continue it this summer with other drastic moves. At any rate, the Kings have found the man to try and lead them out of their recent struggles and shown full confidence in his ability. McLellan will be handsomely compensated as he looks to bring a championship to his third Pacific Division team. Veteran goaltender Peter Budaj has decided to call it a career at the end of the season, the Kings announced (Twitter link). The 36-year-old is wrapping up his second stint with Los Angeles after being acquired for Andy Andreoff last offseason. Budaj was a highly-promising prospect to start his career. Colorado drafted him in the second round back in 2001 and he followed up three strong seasons with Toronto of the OHL with three full campaigns at the minor league level in Hershey before joining the Avalanche on a full-time basis in 2005-06. However, his time with the Avs was marked with inconsistency. At times, he looked like their legitimate goalie of the future but struggled at other times as well. As a result, he was never given the number one job on a full-time basis and after six seasons with the team, he left for Montreal in free agency, going to a situation where he was the clear number two. In his third season with the Canadiens, Budaj was not called upon to take over as the starter in the postseason when Carey Price was injured as they instead went with Dustin Tokarski. That paved the way for his departure and he was ultimately flipped to Winnipeg the following year after clearing waivers, where he spent the entire season in the minors. Rather than opt to return back to his native Slovakia, Budaj decided to stick it out in North America, signing a pair of two-way deals with the Kings. The move turned out to be a shrewd one as in his second season with the team (2016-17), Jonathan Quick was injured early in the year which put Budaj into the starting job quite quickly. He responded with a career season, playing to a career-best 2.17 GAA before being included as filler in the trade deadline deal to acquire Ben Bishop from Tampa Bay. His success that season was enough to land a two-year, one-way contract that summer, one that expires in July. While he has spent a good chunk of time since then in the minors, he has seen limited NHL action in each of the last two seasons. Budaj wraps up his playing days with 370 career NHL regular season appearances with four different teams, posting a 2.70 GAA along with a .904 save percentage. Between that and nearly $12MM in career earnings, per CapFriendly, he wraps up what wound up being a solid career, even if he was never able to ascend to the number one role like Colorado had hoped for a decade ago. The Buffalo Sabres conducted interviews with Todd McLellan this week as the coach was in town for the Frozen Four, but will not be hiring him to be their next head coach. Bob McKenzie of TSN reports that McLellan is no longer in consideration for the position and that the team never did formalize an offer for him. Instead, McLellan is expected to be hired by the Los Angeles Kings, though that has not been formally announced either. The Sabres will continue their search for a new head coach. If McLellan does end up with Los Angeles, it would be his third Pacific Division team in five years after previously coaching with the San Jose Sharks and Edmonton Oilers. The Kings are looking for a coach to help turn around their franchise after a dreadful season, and informed interim coach Willie Desjardins that he would not be getting the job. The 51-year old McLellan was fired by Edmonton after going 9-10-1 through the first 20 games of this season, but has an overall coaching record of 434-282-90. The Sabres meanwhile are looking to replace Phil Housley after just two seasons on the job. The Hall of Fame defenseman was considered an outstanding assistant coach with the Nashville Predators but failed to put together much success in his time in Buffalo. The Sabres rode a winning streak all the way to first place in the NHL early in the 2018-19 season, but ended up with an overall record of 33-39-10, a huge disappointment for GM Jason Botterill and his staff. While Buffalo hasn’t had much success over the last several years, there are definitely parts of the roster that should appeal to any prospective head coach. Captain Jack Eichel set a career high with 82 points in 77 games this season while first-overall pick Rasmus Dahlin was as advertised and stepped into a top-pairing role almost immediately. The 18-year old defenseman—he’ll turn 19 tomorrow—recorded 44 points in 82 games while logging more than 21 minutes a night and should be in consideration for the Calder Trophy. Still, there will be immense pressure on whoever the Sabres do bring in to replace Housley as the team hasn’t experienced a winning season since 2011-12 and hasn’t made the playoffs since 2010-11. The Denver Pioneers were eliminated from the NCAA Frozen Four tournament last night by an overtime goal from Marc Del Gazio of the UMass Minutemen. That means their players are free to sign entry-level contracts with NHL clubs, including top prospect Ian Mitchell. The Chicago Blackhawks draft pick told Scott Powers of The Athletic (subscription required) earlier in the year that he wanted to play with them “as soon as [he] can” though nothing had been decided yet on his future. The 20-year old was the 57th overall pick in 2017 and recorded 27 points in 39 games for DU this season. What the win also means is that Cale Makar is moving on to the NCAA final and can’t join the Colorado Avalanche until at least after tomorrow’s championship game. The young defenseman is expected to join Colorado right away and could potentially jump into their series against the Calgary Flames. That’s still on the back of his mind though, as the Minutemen prepare for Minnesota-Duluth. The Edmonton Oilers sent Connor McDavid for second and third opinions on his leg injury this week according to Sportsnet, though they do not have any information on what exactly is wrong with the superstar forward. McDavid injured the leg when he slid into the post during the team’s last game of the season, and will not be suiting up for Canada at the upcoming IIHF World Championship. Igor Eronko of Sport-Express tweeted some KHL notes this morning, reporting that Los Angeles Kings forward Nikita Scherbak could be heading to the KHL next season. The 23-year old forward is scheduled to become a restricted free agent this summer after his current deal expires, and could potentially bolt for Russia. Scherbak, originally a first-round pick of the Montreal Canadiens, was claimed on waivers this season by the Kings but failed to make much of an impact at the NHL level. The winger has just eight points in 37 NHL games across his career. Eronko also notes that Rushan Rafikov, a seventh-round pick of the Calgary Flames back in 2013, has signed a two-year extension with Lokomotiv. The 23-year old defenseman set a career high with 14 points in 48 games last season, and doesn’t appear interested in the NHL at this point. The Flames will maintain his exclusive draft rights indefinitely.